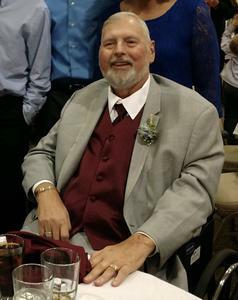 John Carl Boersema Sr., age 71, went to be with his Lord and Savior on Friday, March 16, 2018, after he won his 26 year battle with cancer. He was born on May 28, 1946. John worked at Tiara Yachts for many years and retired from Haworth in 2006. Mr. Boersema married the love of his life, Nancy in 1966, and they were married for 52 years. Together they spent 9 years in Texas where he acquired a love for shuffle board. He was a friendly person who could strike up conversation with a stranger and was a great listener as well. John truly enjoyed spending time with his grandchildren and being involved in their lives. John and Nancy both attended Central Wesleyan Church for many years. He loved the lord and he loved his family. Mr. Boersema was preceded in death by his parents, Martin and Jean. He is survived by his beloved wife Nancy; sons, John (Maria), Anthony (Sue), Mark (Kelly); grandchildren, Amanda (Otavio), Sarah (Josh), Zachary, Jacob, Alexander, Davinn, Gretchen, Mason; great-grandchild, Zahara; brother, Ronald (Donna) Boersema, Ruth (Rick) Schaddelee. Visitation is 1-3P.M. and 6-8P.M., Wednesday, March 21, at the Dykstra Funeral Home - Mulder Chapel, 188 West 32nd Street, Holland. A funeral ceremony will be held 11:00A.M, Thursday, March 22, in the Chapel, at Central Wesleyan Church, 446 West 40th Street, Holland. Pastor Craig Rees and Pastor Larry Johnson will officiate the service. Interment at North Holland Cemetery. Memorial Contributions may be given to Hospice of Holland, 270 Hoover Blvd Holland, MI 49423. To sign an online registry, please visit www.dykstrafuneralhome.com Arrangements were made by the Dykstra Funeral Home - Mulder Chapel.